In the United States, there is a feeling of urgency, almost of panic, about the need to improve schools and raise standards. In Canada, by way of contrast, there is a feeling of complacency about education. Unlike American parents, most Canadian parents assume their kids are doing okay in school. 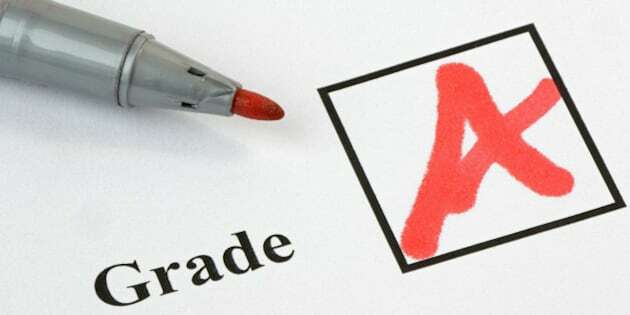 However, if you are a parent with a niggling feeling that all might not be well with your child's schooling, here are three quick and easy tools you can use to check whether or not your child is working at grade level. If your child aced these placement tests, you can stop reading now. If you're still reading, you may be interested to know that the case for Canadian educational complacency rests mainly on the Programme for International Student Assessment (PISA). These tests rank Canadian students significantly above the OECD average (but still far below more successful countries like the Asian tigers). So according to the PISA, Canada is doing okay. But there is a bit more to this picture. Second, the PISA tests measure how well students can use simple arithmetic and literacy skills to solve everyday problems. The tests don't really look at advantaged learning -- like, say, the ability to read difficult texts or set up an algebraic equation. If we truly want to evaluate how well our schools are doing, we would do better to take a look at the Trends in International Math and Science Studies (TIMSS) -- a test that measures considerably more advanced learning than the PISA does. The latest TIMSS places Canada above the TIMSS scale centrepoint in math, but not by much. In science, Canada does a bit better, but our students' performance is still not stellar by any means. The bottom line? Canada is doing okay by international standards, but it is a long way from the top and it is going in the wrong direction. It should also be borne in mind that many of the countries Canada is beating are less developed countries -- countries like Kazakhstan, Malta, Croatia, and Iran -- while the countries that are beating us -- countries like the United States, Russia, China, England, and Japan -- are the countries that we should be comparing ourselves to. John Manley, former Deputy Prime Minister of Canada, says: "I think it's time to stop congratulating ourselves on the quality of our primary, secondary, and post-secondary education systems, and face up to the fact that our performance in international rankings is getting worse, not better." Mr. Manley described the situation as "a looming crisis." I am not saying that we should start running around like chickens with our heads cut off, but I do think that it's time Canadians stopped feeling complacent about their education system and starting taking steps to improve it. Up until now, most efforts to improve schools have involved things like more testing, more spending, and higher standards, but these measures aren't working. More likely to succeed are proven measures like forcing schools to compete, promoting better teaching methods and materials, and making it possible for poor families to choose better schools for their children -- just as well-off families already can. It's not so much a question of knowing what needs to be done, but rather a question of finding someone who is prepared to do it.